October Women’s Call Recording: You Better Lose Yourself! Two women – across the world – both finding their Nuevo Camino. Some of the greatest experiences in our lives come after – and often because of – the greatest fights. We can choose to believe that no good thing comes without struggle! Hear Lynn Ann and Elena share about how they chose to listen to that voice of hope that knew there was something better for their lives. The voice that refused to put themselves in a box any longer and decided to follow their hearts for something better for them and their children. This Nuevo Camino is for ALL of us in all corners of the world. Let’s continue building it TOGETHER! Check out our website to learn more about NUEVO CAMINO and to DONATE! 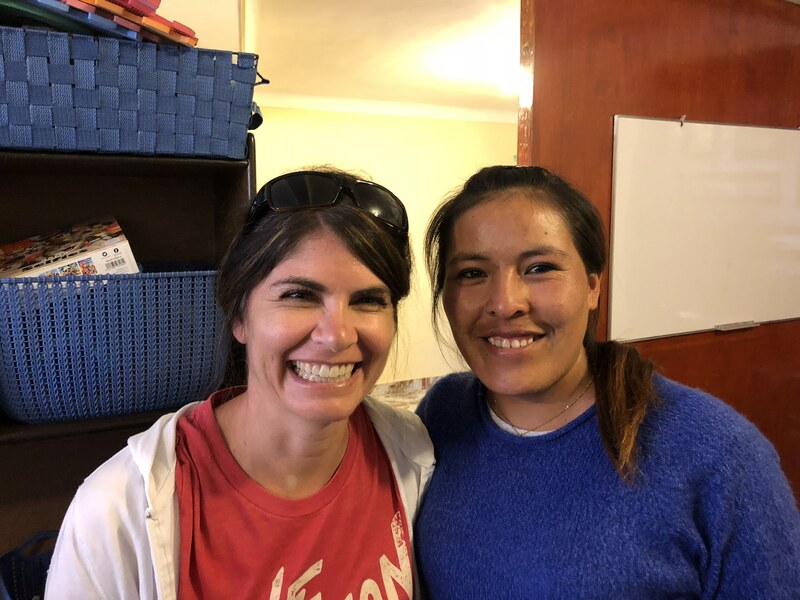 New friends, Lynn Ann and Elena spend time together in Cusco and in Elena’s village of San Juan. Surely I’m not the only one listening to rap music in the carpool, right? My friend Lynn Ann has a job, 4 young kids, a minivan, and every reason in the world not to take a trip to a third world country at this stage in her life. But she had one quiet, nagging, persistent reason to go. Just a few months ago, she was shopping for medical supplies along with her friends–ready to support their medical service trip to Peru. But surely this was not the trip for her. It just wasn’t the right timing (still paying off hospital bills from those last two babies, y’all). It was most definitely not convenient (ever traveled to a third world country with a breast pump?). It was not glamorous (ever washed sores on villagers’ feet?). Lynn Ann has. You can either lose yourself in the bills and the schedules and the stuff of life. Or you can lose yourself in the stuff that gives you life. We hope you’ll join us this Thursday, October 25 and leave just a little more in touch with that quiet, nagging voice that’s trying, ever so delicately, to lead you to your moment. JOIN: REGISTER to join the call or HOST A PARTY with your friends. Many of the moms of Nuevo Camino gathered last month to hear Erika share her powerful and inspiring story with our women’s network. 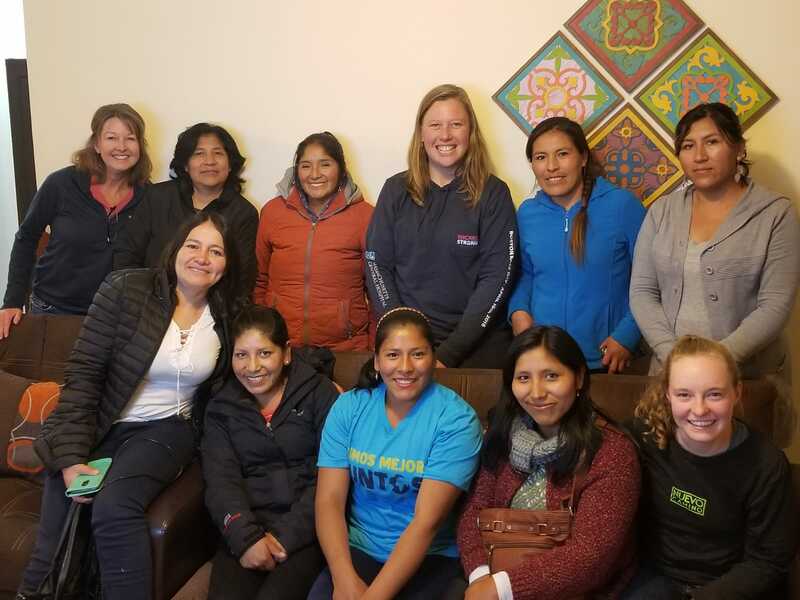 The last Thursday of every month, women across the country have gathered to hear the women of Nuevo Camino share their stories of overcoming hardship. We have continued to find that we are truly BETTER TOGETHER and there is a power, as women, in supporting and encouraging each other. Last month, Erika shared her powerful story and left us looking forward to the next time together. We will gather virtually and in person on October 25 at 8pm for our next call. More details of who will share to come! The last Thursday of every month, Something New and the women of Nuevo Camino host a call to connect, inspire, and build this network of women. 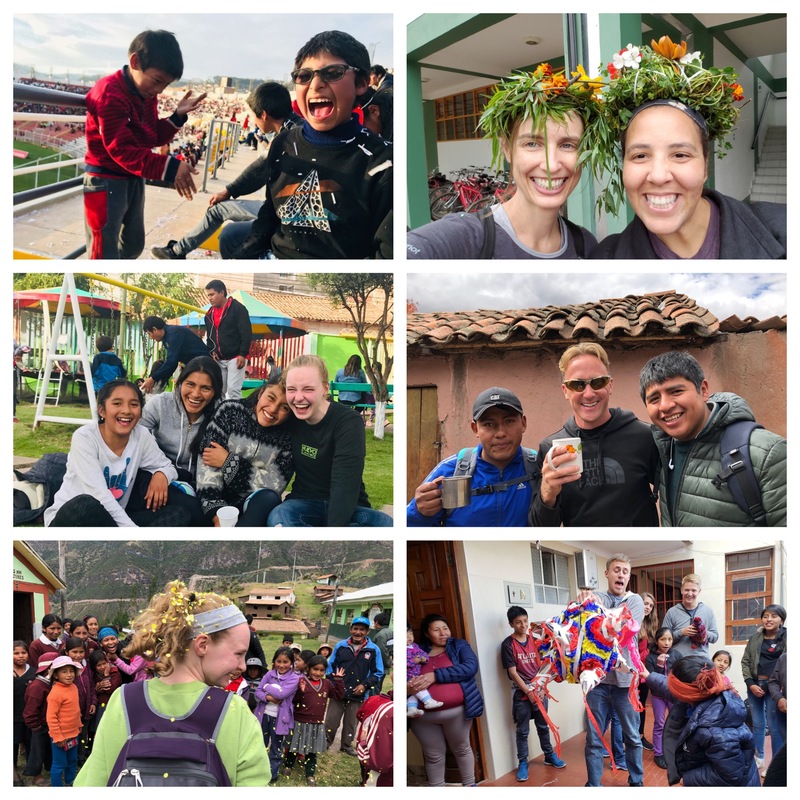 This call, Erika, one of the first moms to go through Nuevo Camino in Cusco, Peru, shares her story of hardship and overcoming. Our next call will be on October 25! Once together in the women’s shelter, Erika (right) who will share her story on September’s call, and Elena (left) have become close, supportive friends. 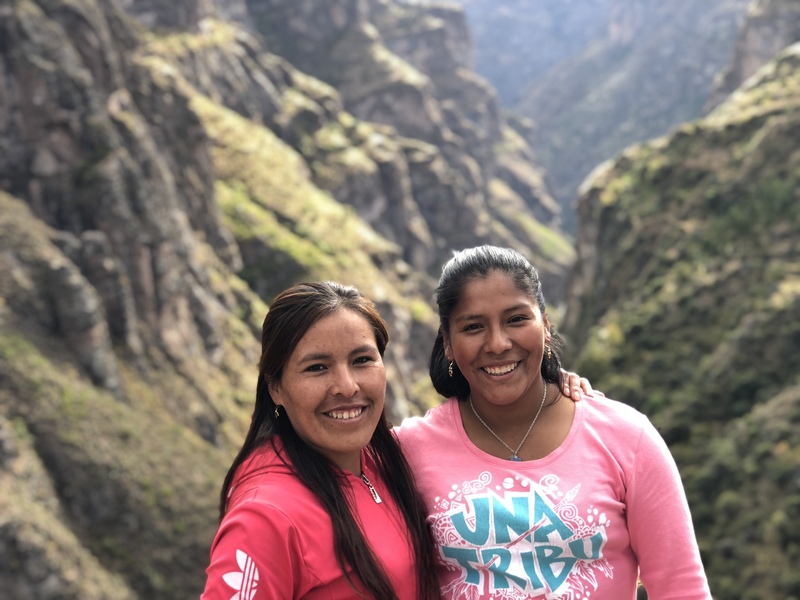 Last month, Yoli and Erika shared with us stories of hardships and overcoming. We would all say that through their cracks, a beautiful light shined. We have not all gone through the same situations, but THERE ARE SOME THINGS WE HAVE IN COMMON, AS WOMEN. We have all been broken, lost, and hopeless at times. And, we have all needed someone to encourage and support us — we are finding out that we are truly BETTER TOGETHER. Many you of have asked to hear more of Erika’s story and to have more time together. Join us on September 27th for just that! You will laugh, you will cry, and you will be inspired. Most of all, we will connect through our struggles and our victories. And we will keep creating a global community of like-hearted women who can lift each other up and cheer each other on.